I won't deny it. The name itself, pronounced "goo-ZHERES," conjures up something far grander than this humble looking cheese puff. One might be tempted to pass over these small bites in favor of something more fancy. Please don't. Gougeres may lack visual panache and the ingredient list may best be described as pantry staples, but one bite of this classic French appetizer and you’ll be a convert. 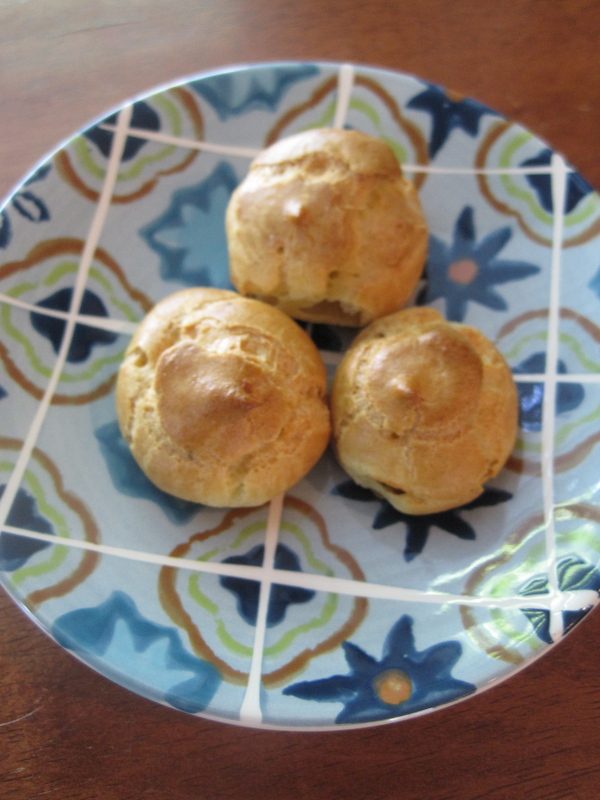 Gougeres are made by making pâté a choux dough and adding cheese. For those that aren’t familiar with pâté a choux, it is the same dough that is used to make eclairs and profiteroles. For something that sounds so complicated, pate a choux is deceptively simple to make and once mastered its culinary versatility and use of ingredients that you most certainly have on hand will make it a go-to recipe for sweet and savory snacks. For the curious cook making pâté a choux for the first time, be brave and don’t doubt yourself or the recipe. 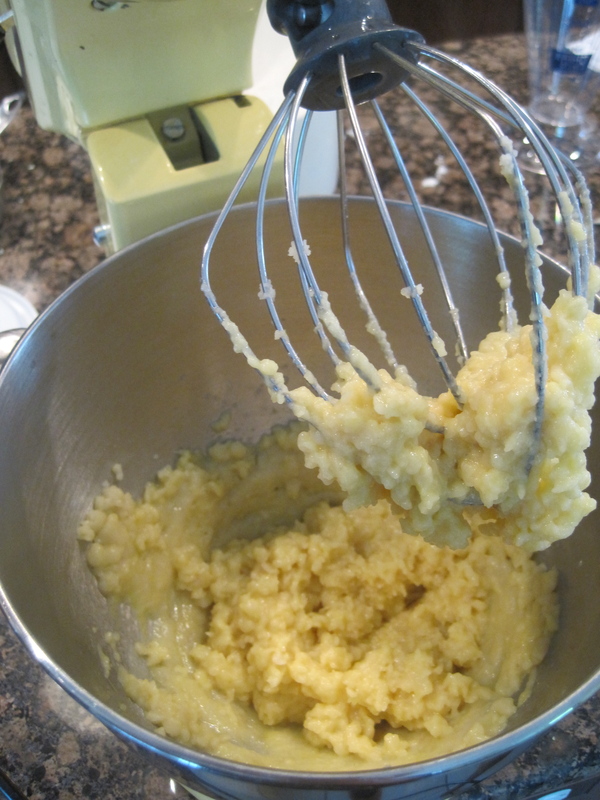 After you have added the third or fourth egg the dough will start to look funny. To be clear, it will look ruined and curdled. Don’t be alarmed. 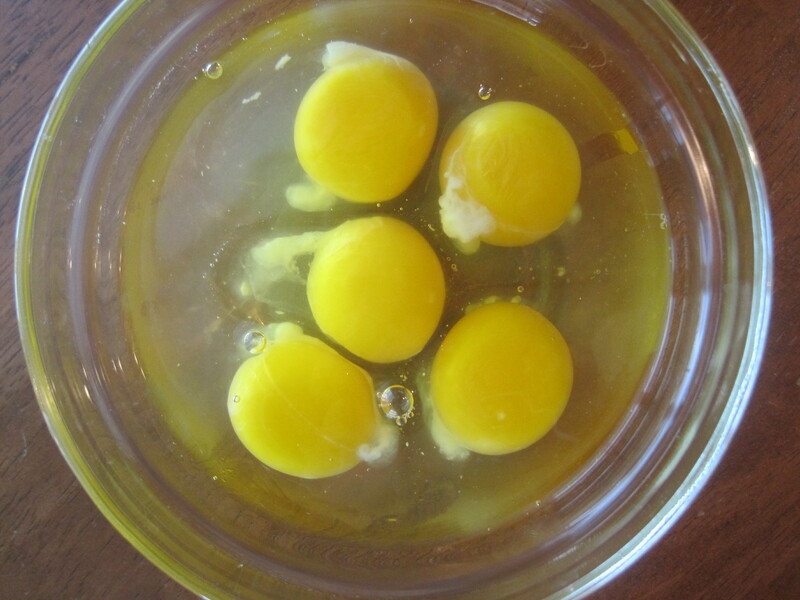 Take a deep breath and continue to beat the dough and add any remaining eggs until the dough comes together. You’ve beaten the dough enough when you have a smooth, shiny, and sticky dough. 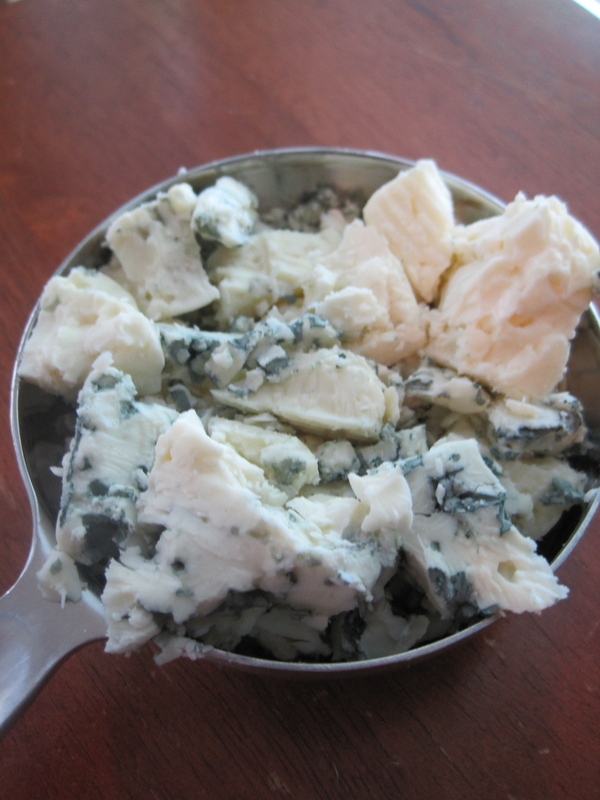 I love blue cheese and for that reason used it for my gougeres, but you should use your favorite cheese. Just be sure to crumble or grate it well. I got a little impatient and left the crumbles too big. In turn, they plugged my pastry tip and made me say bad words. Halfway through baking, prick the gougeres with a small toothpick. This allows steam to escape and allows the insides of the puffs to crisp up. It also prevents the gougere from collapsing when it comes out of the oven. 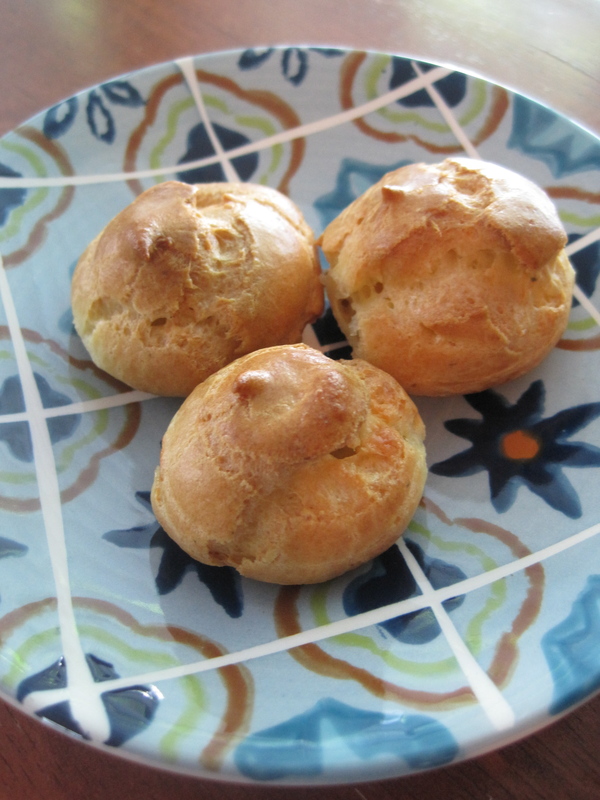 I find gougeres irresistible and to avoid moments of weakness freeze half of them to reheat at a later date. They freeze beautifully and can be reheated at a moment’s notice in an oven or toaster. Which makes them not only delicious, but also practical. Bon appetit! Preheat the oven to 425 degrees and grease a baking sheet with butter. In a small saucepan, bring the butter, salt, and water to a boil. Reduce the heat to medium-low and stir in the bread flour using a wooden spoon. 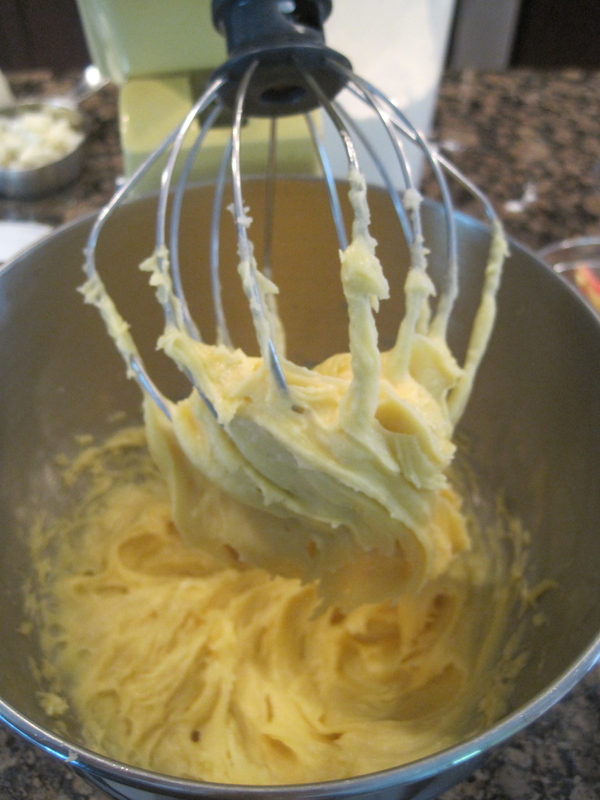 As you stir, a dough will form that will pull away from the sides of the saucepan. Once this happens, keep stirring for two or three minutes to try to cook off any excess water from the dough. 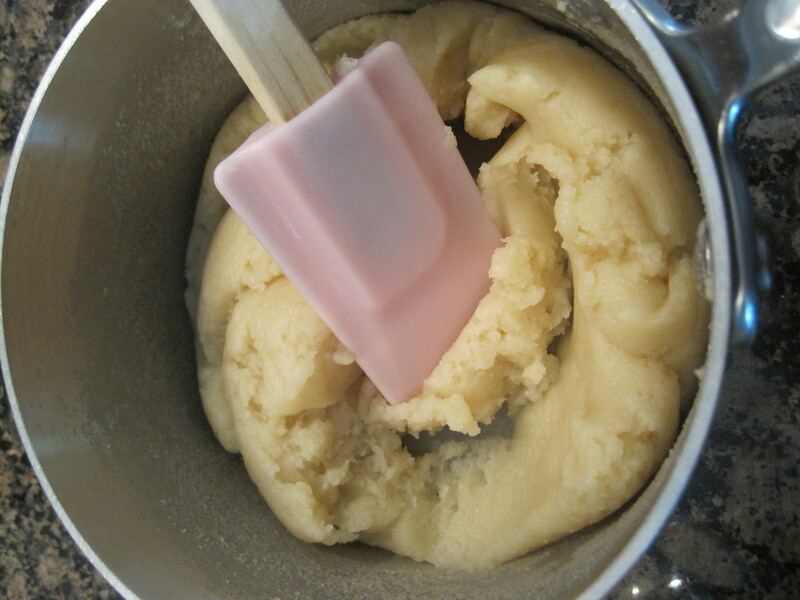 Remove the saucepan from the heat and place the dough in the bowl of an electric mixer. Beat the dough on high speed, while adding the eggs one at a time. Beat well after each addition. Add the crumbled blue cheese and rosemary and beat to combine. 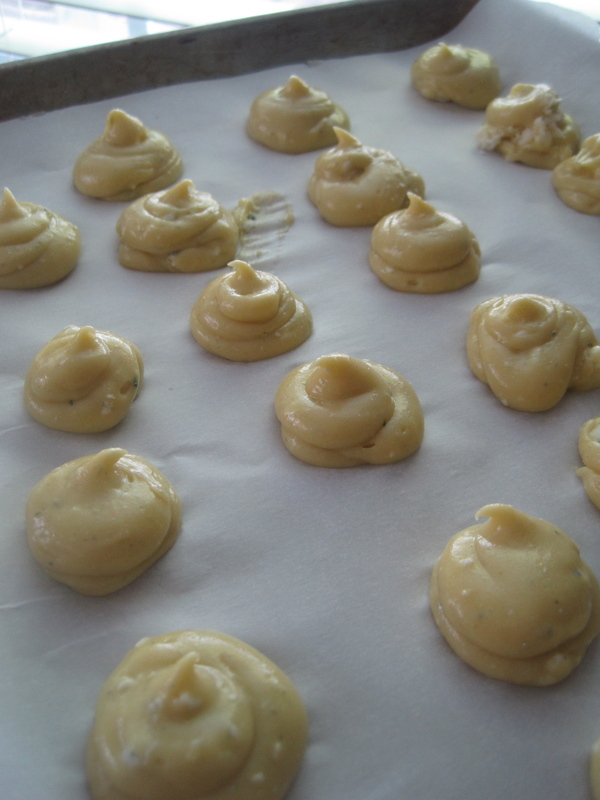 Fill a piping bag with the cheese dough and pipe out small mounds, about 1-inch in diameter, on the greased baking sheet. Bake for 10 minutes and then pierce each gougére with a toothpick or skewer. Return to the oven and bake for another 10 minutes or until golden brown and crisp. These sound divine! Your grilled cheese sandwiches from last week were a hit! Sabatoged my weight loss efforts, though. Yes, we tried all THREE!!! Thanks, Molly! Those grilled cheese sandwiches are addictive. I tested them all one day – it was a lot of cheese, but worth the extra miles I had to run. Thanks as always for reading. You had me at Blue Cheese. YUM! I had the same reaction. I heart stinky cheese.